Congratulations to BEACON Grant Awardees! Congratulations to the 19 organizations selected as 2017-2018 BEACON Grant Awardees. Learn more about each initiative here, and join us in thanking them for their continued service to DC's women entrepreneurs. 1) We're thrilled with the community support in celebration of BEACON Grant Awardees. In case you missed it, check out these features by Technical.ly and DC Inno. And, head on over to our Facebook page for event photos. Be sure to tag yourself and your friends! 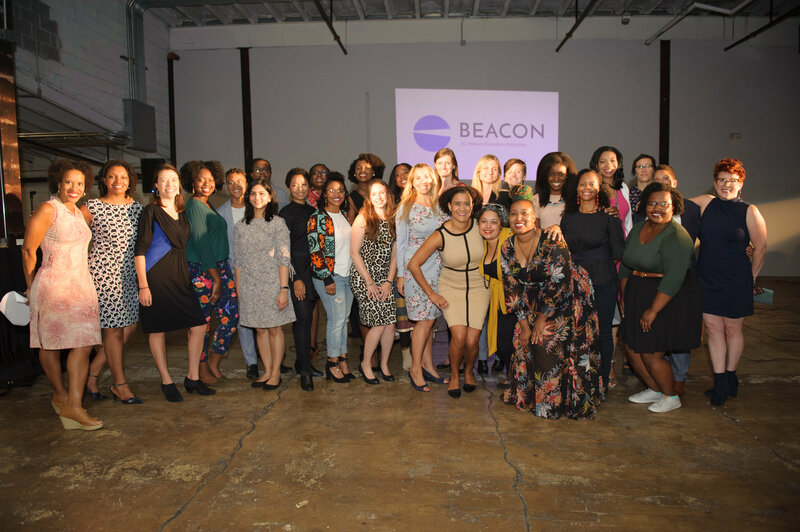 2) Kudos to both the BEACON board and community members for being recognized as part of DCA Live's list of the "Trending 40: The New Power Women of DC Tech." 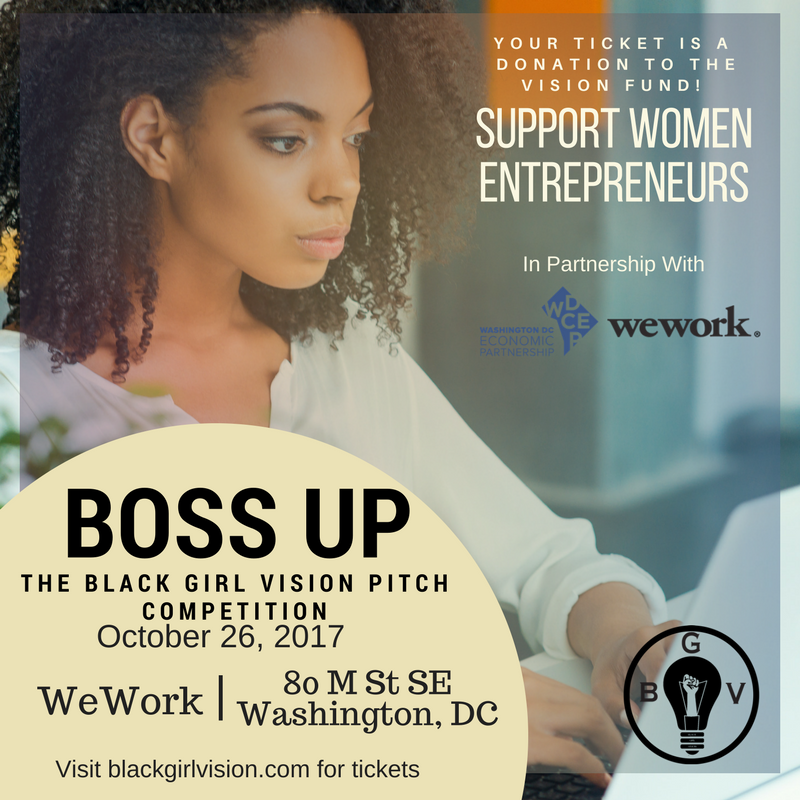 Board members featured include Aerica Banks (Google), Shelly Bell (Black Girl Vision), Alex Givens (Georgetown Law), Anna Mason (Revolution), Joy Whitt (DMPED), and Xina Eiland (Black Female Founders). 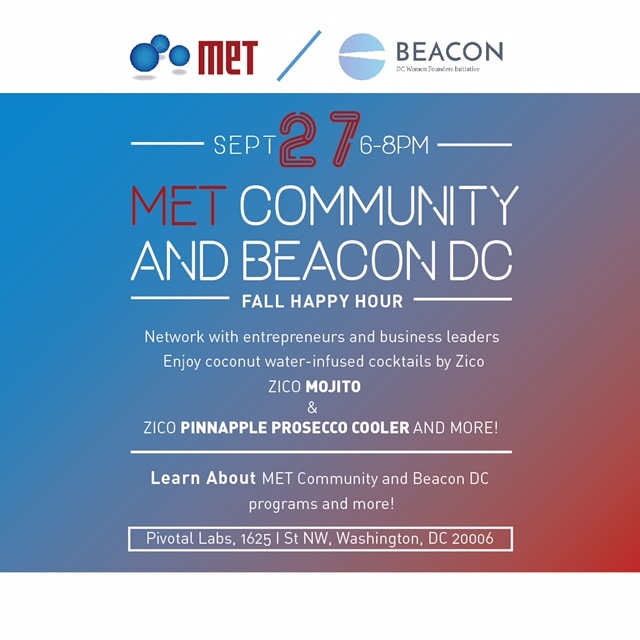 BEACON community members include Elizabeth Lindsey (Byte Back), Katherine McClintic, Lauren Jacobsen and Pamela Vong (Women Who Code DC), Kelly Ann Kirkpatrick (In3), Rebecca Yarborough (Vinetta Project), Tiffany Thacker (WDCEP), and Veni Kunche (USGS/Code with Veni). 3) We're also thrilled to congratulate VEDA Data Solutions CEO Meghan Gaffney Buck for winning the Vinetta Projet Venture Challenge. Buck took home $20,000 in cash from GSP and Paley Rothman, in addition to four months of office space at MakeOffices. 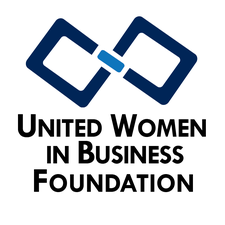 The United Women in Business Foundation (UWIB) is a non-profit organization devoted to the professional development and education for women across all industries. Through educational programming, mentorship, and community service initiatives, UWIB helps members excel despite the challenges and inequalities that women face in today's business environment. On November 29th, the DC chapter will host its annual Winter Soirèe to raise funds in support of the organization. UWIB would like to invite the BEACON community to contribute to the silent auction, where 100% of proceeds will be used to support UWIB's members. If your business is interested in increasing exposure by contributing to UWIB's silent auction, please contact Mehron Price, mehron@grantsonamission.org. Are you a local, female/womyn-owned food vendor? Or, are you interested in creating vegan food products for Femme Fatale DC's Pop Up Cafe in NoMA? Staff is available on-site! Email info@femmefataledc.com for more info. The Winter Wunderland Village in DC's NoMa neighborhood is look for regional art and artisan vendors who personally make and/or design their own handcrafted, handmade goods. Learn more and apply. The Anacostia Watershed is seeking artists to create designs and paint murals on 20 storm drains in a variety of locations near the Anacostia River. $775 per commission. Learn more. The Boss Up! Black Girl Vision Pitch Competition is currently accepting applications. This crowdfunded pitch competition will take place on 10/26. Apply by 9/29. Startup Runway connects sophisticated investors with high opportunity, high impact startups by sourcing the best of traditionally overlooked technical founding teams. Apply by 9/30. Startupalooza will host an open entrepreneur pitching event for digital media, high-tech and healthcare startups on 10/12. Up to $4500 in prizes will be awarded. Register to pitch by 10/4. The Obama Foundation Fellowship program seeks a diverse set of community-minded rising stars who are altering the civic engagement landscape. Apply by 10/6. Techstars Anywhere Accelerator is a (mostly) virtual accelerator with several in-person meetings for founders who are unable to relocate (due to business or personal constrains). Apply by 10/15. Learn to Code Today & Pay Later is a program sponsored by General Assembly and Opportunity @ Work that offers a 14-week training program for individuals typically underrepresented in the tech community and otherwise unable to afford training. Accepted students will have 100% of their training costs financed, receive a $2,000/mo stipend and agree to pay a portion of their income after training and landing a job. Info Session 9/29, 10/3, and 10/11. Apply by 10/15. 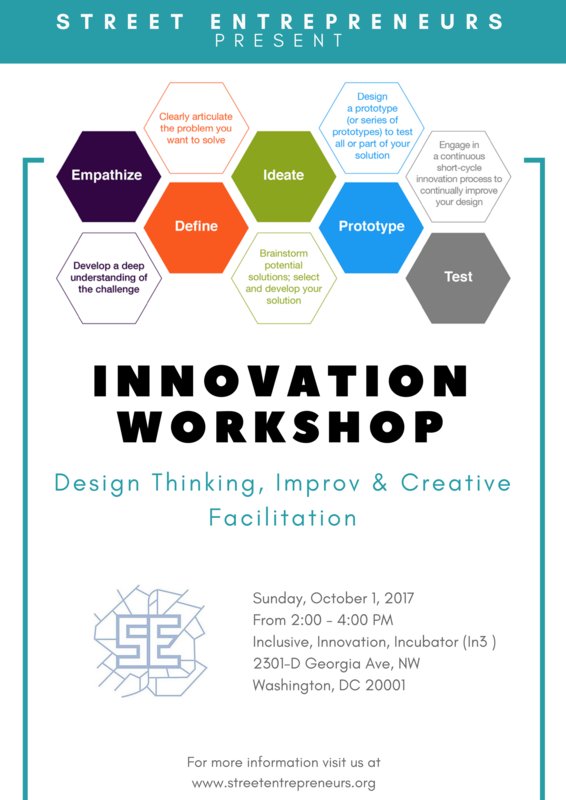 10.1: Innovation Workshop: Design Thinking, Improv & Facilitation with Street Entrepreneurs | Free with code: "Beacon"
11.4-11.5: Creative Jump by Innovator's Box | Discount code for BEACON community: "Beaconcreativity"
Upace is the first customizable, two-sided mobile platform that empowers facility managers to instantly access analytics, communicate with users, and update the app. Members can view occupancy, reserve equipment, schedule classes and take control of their fitness program. Uspace believes recreation centers play a vital role in the physical and mental well being of members. That's why their role is to help recreation centers engage, motivate and make fitness an attainable goal for all members through the use of technology. Since 2014, their software has helped recreation centers serve as a hub of the community focused on living an active, balanced lifestyle.